The student body of the Faculty of Planning commemorates this week by celebrating a four-day event Prameya. Prameya (प्रमेय) as it is understood in Sanskrit means ‘a hypothesis’. Through this event, we aim to take up discussions revolving around the various possibilities in understanding human settlements and its environs. Every year the first Monday of October is also celebrated as World Habitat Day by United Nations to reflect on the state of our towns and cities, and on the basic right of all. If the cities of the past were shaped by people, the cities of the future are likely to be shaped by ideas. The time is ripe, say experts, to start designing smarter environments, both which new cities need to sustain an ever-growing population, and retro-fit on the ones that we have lived in for centuries. 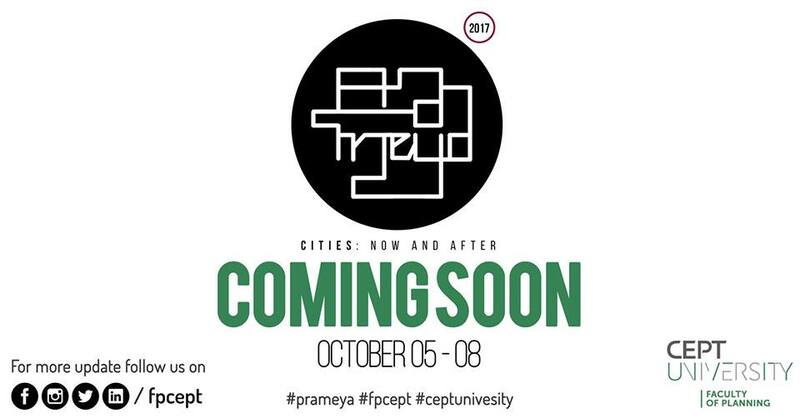 Hence, this year, to provoke this thought the theme is ‘Cities: Now and After’ and it will be held from 5th October 2017 (Thursday) to 8th October 2017 (Sunday).